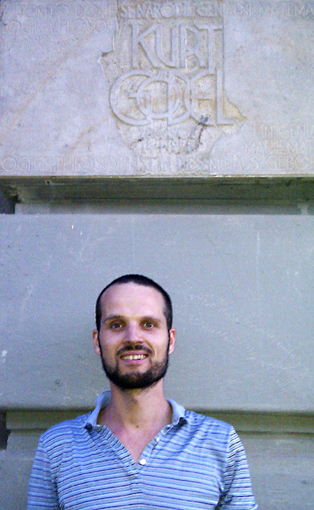 Researcher of the CNRS at the Laboratoire d'Informatique de l'École Polytechnique (LIX), in the Algorithms and Complexity Team. I am a researcher in theoretical computer science. My primary research topic are constraint satisfaction problems, where I am interested in algorithms, systematic complexity results, and applications of constraint satisfaction. In particular, I work on the extension of the theory about constraint satisfaction problems over finite domains to infinite domains, and related model theory, universal algebra, and Ramsey theory. In the past, I have also worked in enumerative combinatorics, in particular for (labelled and unlabeled) planar structures. Leading the ERC starting project CSP-Complexity. Website of our seminar: Le séminaire d'algorithmique et de complexité du plateau de Saclay. Participating at Dagstuhl seminar 14331, Querying and Reasoning Under Expressive Constraints, Aug 10-14, 2014. Invited speaker at Colloquium Logicum 2014, 4-6 September, Munich, Germany. Organizing Algebraic and Model Theoretical Methods in Constraint Satisfaction, Banff International Research Station, Nov 23 - Nov 28, 2014. Invited speaker at 32nd International Symposium on Theoretical Aspects of Computer Science (STACS), March 4 - 7, 2015, Munich, Germany. Invited speaker at 25th British Combinatorial Conference, 6-10 July 2015, Warwick, UK. I have been involved in the following events. Invited speaker at MAD! 2014, Middlesex Algorithms Day, Foundations of Computing Group, Middlesex, 14th March 2014.